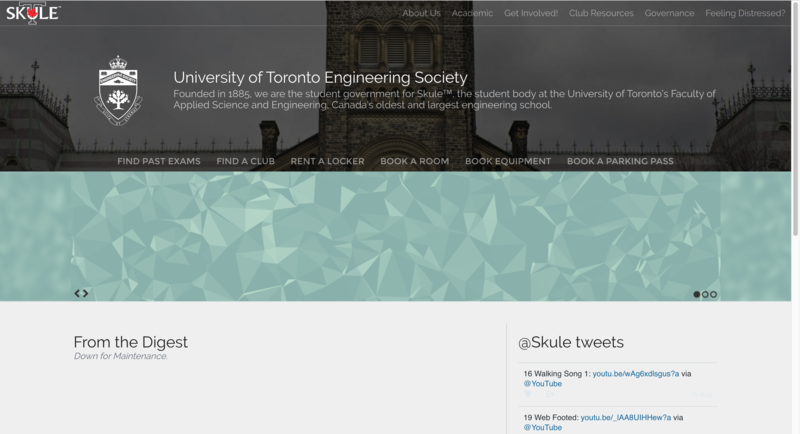 Main website for the University of Toronto Engineering Society. 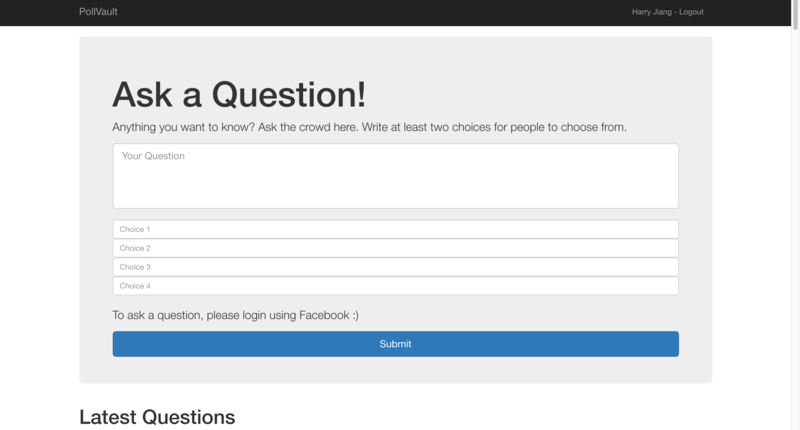 Includes a Content Management System (CMS) built using the LAMP stack. 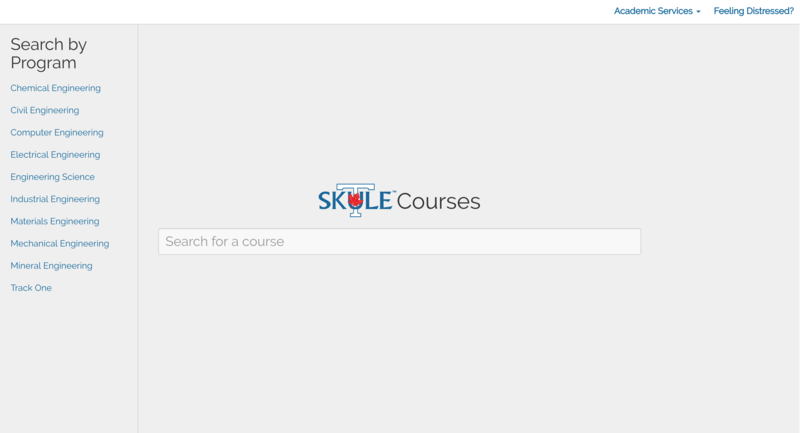 Frontend developer for a mid-course feedback system for engineering students at UofT. 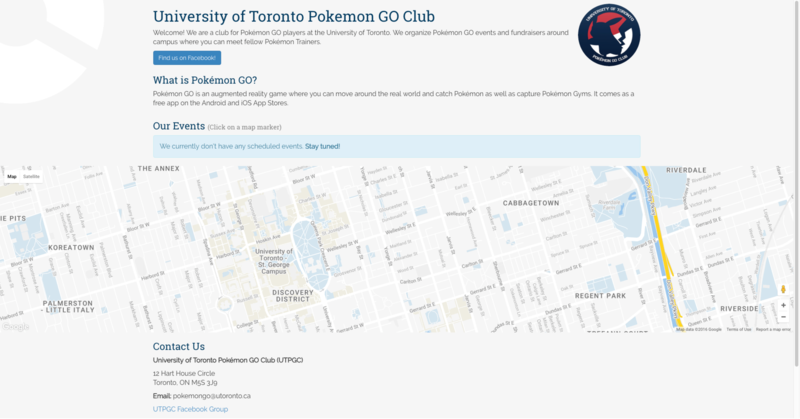 Website for the University of Toronto Pokémon Go Club. It uses Firebase to store events and the Google Maps API to display upcoming club events on a map of the UofT campus. In-class engineering design portfolio for ESC101.